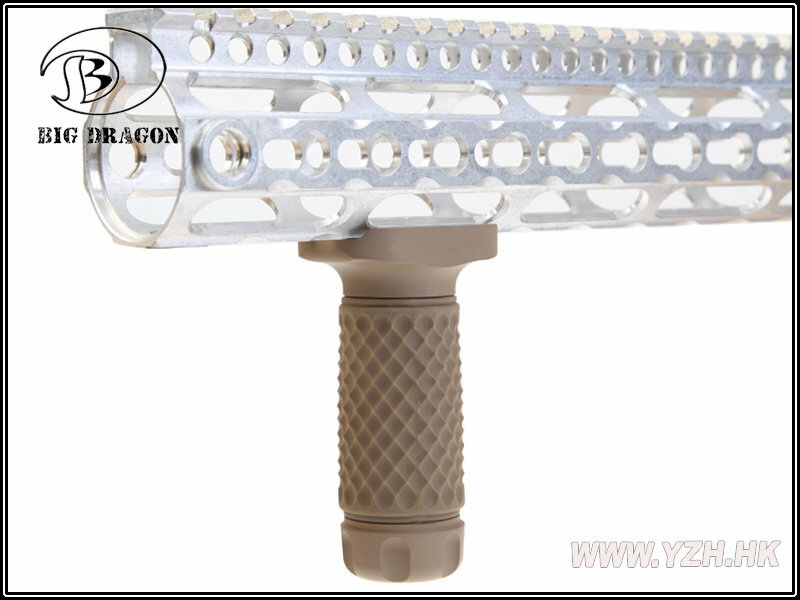 Big Dragon new product - Keymod System GoldBall Pattern Short Grip. Which is made of aluminum & rubbler and suitable for Keymod System. Please note that this product is for Airsoft sport only, we don't responsible the consequences for our purposes. Click the button below to add the Big Dragon - Keymod System GolfBall Pattern Short Grip to your wish list.